The title alone caused you to click on it, didn’t it? 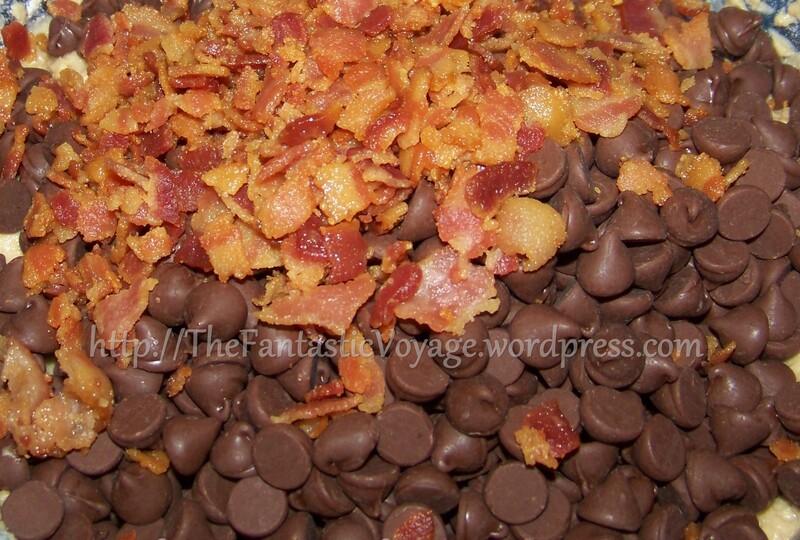 Admit it, mixing bacon and chocolate sounds…Interesting. I urge you…Take the plunge. It is your civic duty. Preheat oven to 375 degrees. In a large bowl, mix butter, granulated sugar, dark brown sugar and vanilla extract until creamy. Add eggs and beat well, then set aside. In a small bowl, combine flour, baking soda and salt. Gradually beat flour mixture into butter mixture. Stir in morsels, bacon, and bacon fat. Drop by rounded tablespoon onto ungreased baking sheets. Bake for EXACTLY eight minutes. Remove baking sheets from the oven and allow cookies to cool for five minutes before moving to wire racks to cool completely. Note: For best results, please measure the flour and butter by weight. Doing so will always yield consistent results (try it if you don’t believe me). 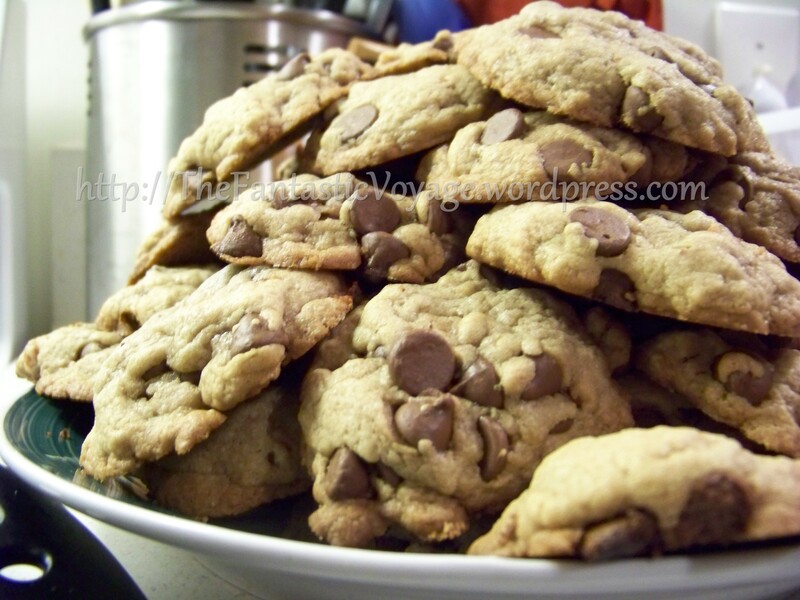 And yes, this is the original Nestle Toll House chocolate chip cookie recipe, just tweaked a bit. I admit it! These sound incredible. You’re right the title made me click!